Part of hugely popular KEF Q series models, Q50a is a Dolby Atmos-Enabled surround speaker with 130mm Uni-Q bass/mid driver. 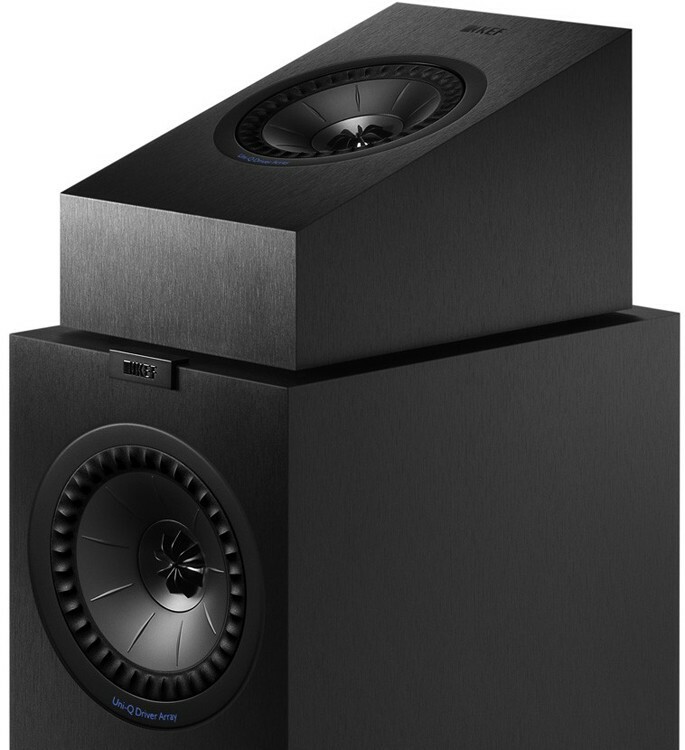 KEF Q50a, part of hugely popular KEF Q series models, is a Dolby Atmos-Enabled surround speaker with 130mm Uni-Q bass/mid driver. Dolby Atmos speakers are designed to be placed above bookshelf speakers or on top of floor-standers, to deliver the sound upwards so it is reflected off the ceiling and replicates the vertical dimension present in Dolby Atmos recordings. The Q50a Dolby Atmos speakers are designed as an addition to your home theatre setup. Equipped with Uni-Q drivers and other advanced technology, the dynamics are excellent while the response is transparent and accurate. 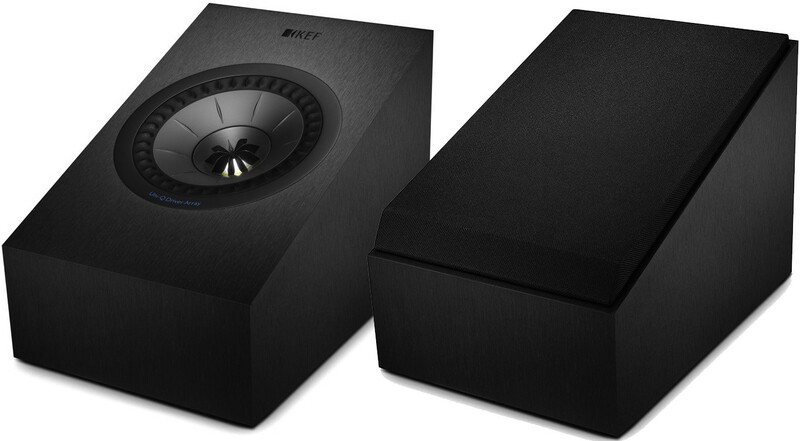 These speakers are designed to integrate perfectly with KEF's Q Series both aesthetically and acoustically, they are a closed-box design, built around the Uni-Q array developed for the revolutionary Blades from KEF. The speakers comprise a refined tweeter (25mm) at the centre of a 130mm bass mid-range driver and sound is distributed via KEF’s ‘tangerine’ waveguide which maximises sound dispersion. 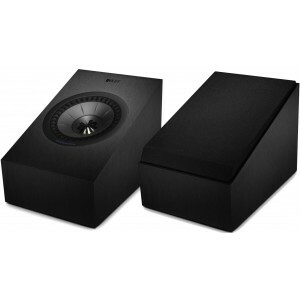 The dynamics of these speakers is excellent, an accurate, clean and fast mid-range response. The small dimensions of these speakers mean you will not need to give them any additional space. The Q50a is designed to be positioned on the Q Series speakers and provide an immersive listening environment by employing Dolby Atmos technology that uses precision ceiling reflection. These speakers can also be positioned on a wall using the keyholes on the rear of the speakers, which will result in immersive surround sound experience that blends with the newest Q Series speakers. 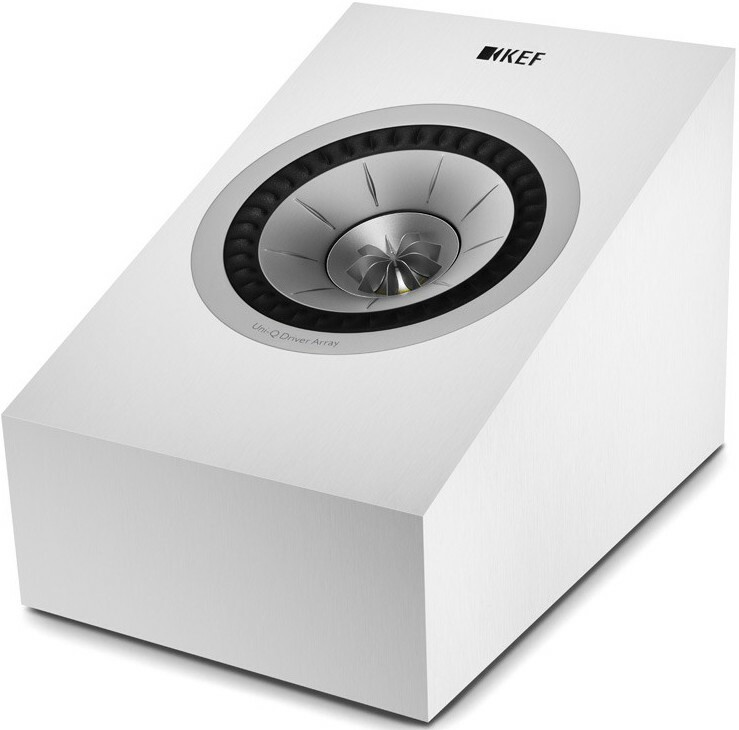 KEF have ensured that high-frequency components are represented correctly by employing a damped tweeter loading tube. Part of the Q Series, the Q50a’s visual aesthetic shares many elements with other the Q Series speakers, so they will blend together in a home listening environment. In reality, sound comes to the ear from 360 degrees of space, around the listener. However, in normal surround sound systems only allocate on the azimuth plane, either left, or right, in front and behind. What sets Dolby Atmos speakers apart from other systems is that they realistically reproduce sound in all dimensions, even elevation. By presenting sound in all three dimensions, means the listener will perceive a true 3D audio image, with auditory objects positions correctly in 3D space. The effect of Dolby Atmos technology is an astonishing exhilarating performance that will be engrossing.